Thought I'd put all my illustrations from 2015 in one place. It was a busy year for both commissioned work and personal work. 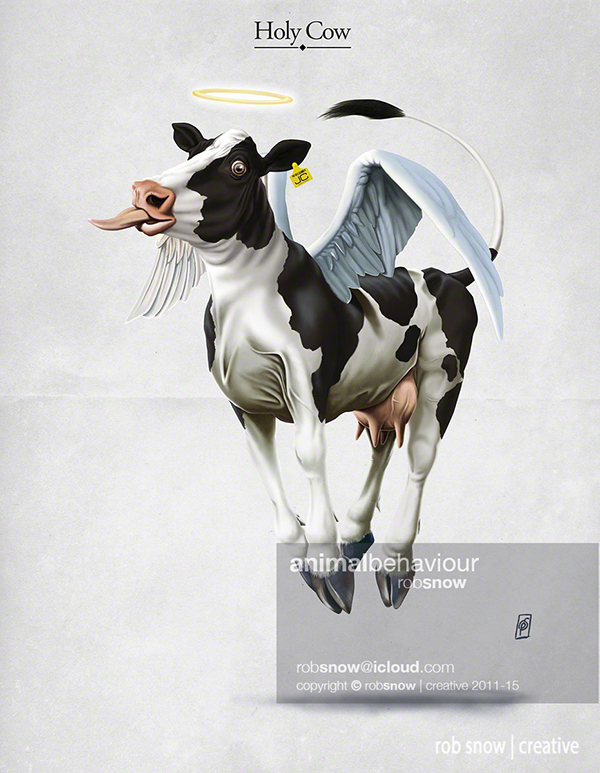 All but the Holy Cow illustration were completed and rendered using the same technique and same brush, in Photoshop. You will see brief descriptions under each. 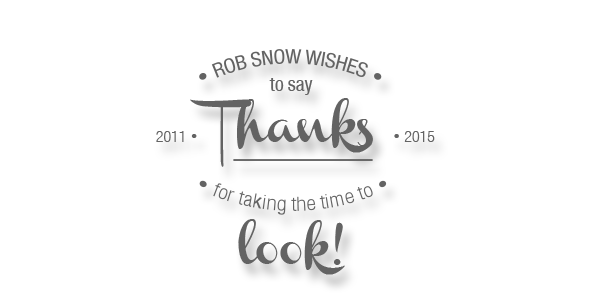 All work is copyright © Rob Snow | creative 2015. 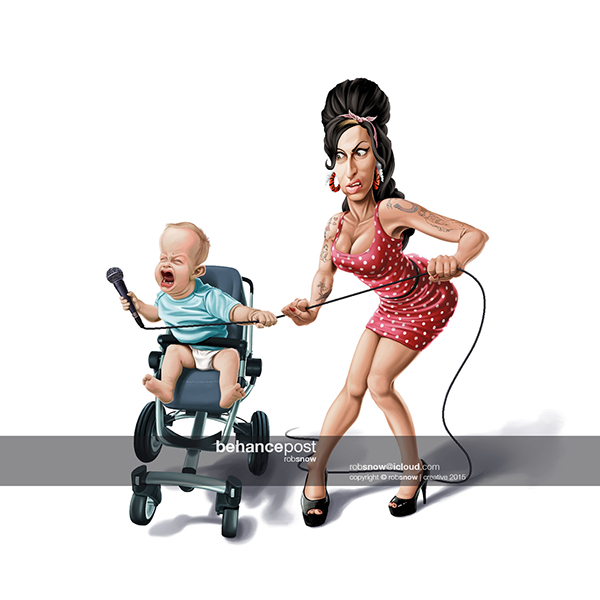 This was one of two animal oriented caricatures achieved in 2015. It is of world famous animal photographer; Elke Vogelsang. 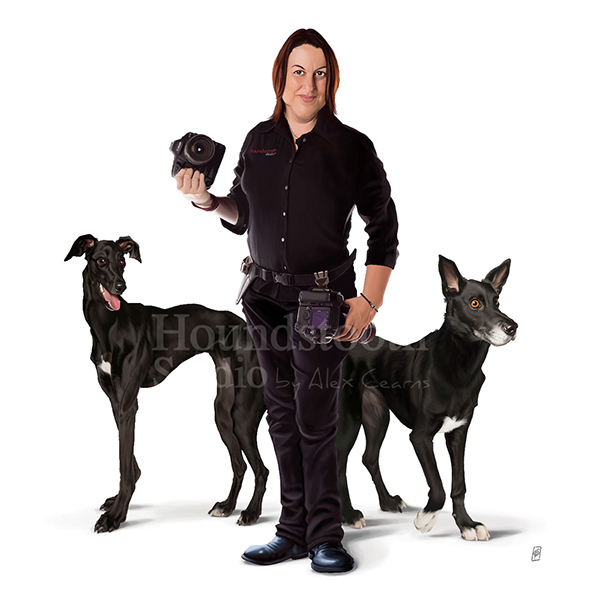 After seeing my caricature of Elke Vogelsang, Alex Cearns commissioned me to do this render of her with her two dogs. 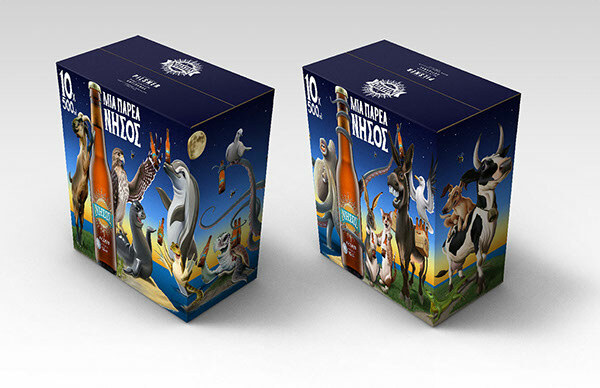 A complicated illustration involving many of the animals of Tinos island, wrapped around a presentation box, for their 500ml Pilsner beer. 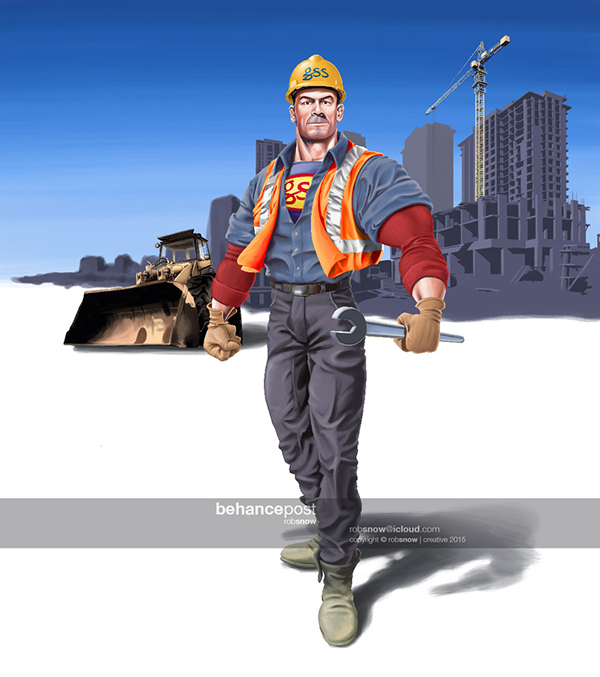 One of two illustrations for a Safety Apparel company to show strength and force in their work ethic. Second of 2 illustration for safety company, showing their latest product range in use. Two illustrations achieved for a Brazilian agency to help promote Noise Reduction technology in mobile devices. The aim was to use famous figures to highlight listening to music. 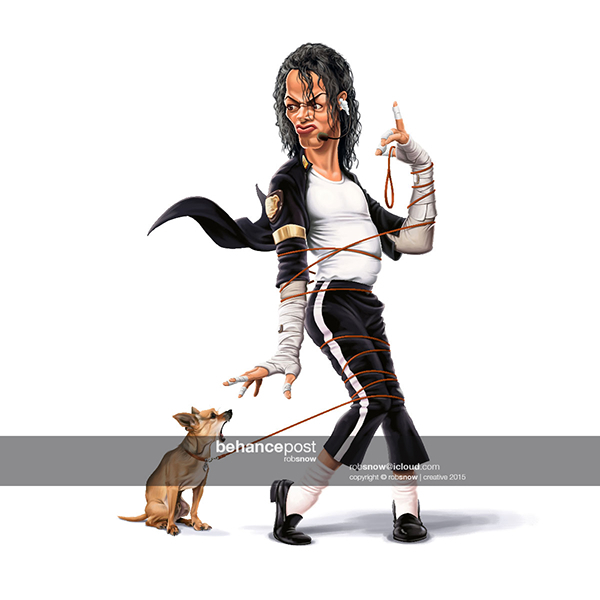 The two featured figures were; Amy Winehouse and Michael Jackson. 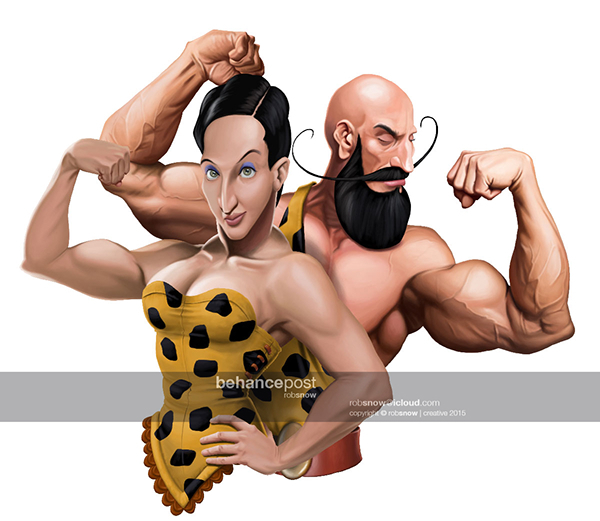 This is one of three illustrations achieved this year for an American fitness company. The two earlier ones were done as separate figures, and for the opening of the actual gym, the company asked they were brought together. This is the end result. I spent more time on this to get more correct body likeness on textures and lighting to make it better than the predecessors. 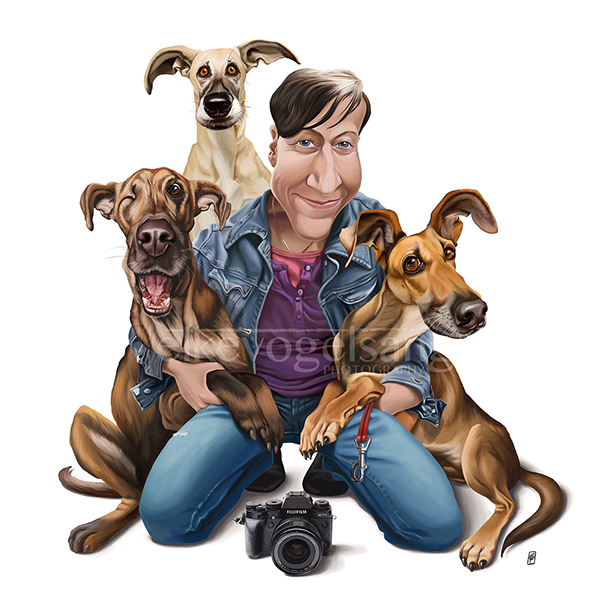 The only Animal Behaviour image completed this year. One of my favourites, that highlights a great expression. One of two vignettes commissioned to show an extraction process. 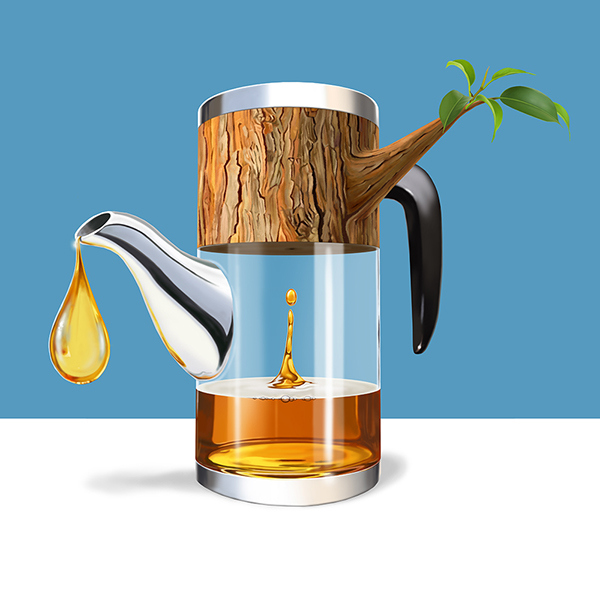 In this illustration, it is to show the making of the tea oil. 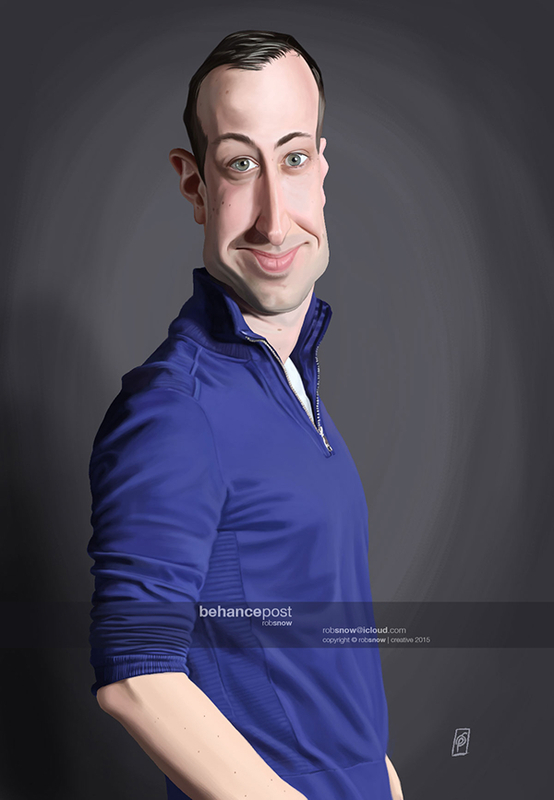 A personal project started one year ago, to help speed my rendering skills and also look into the skills in caricature rendering. The total has reached 50 personalities, and is growing. Another personal project designed to develop an type of illustration I call "digital collage". 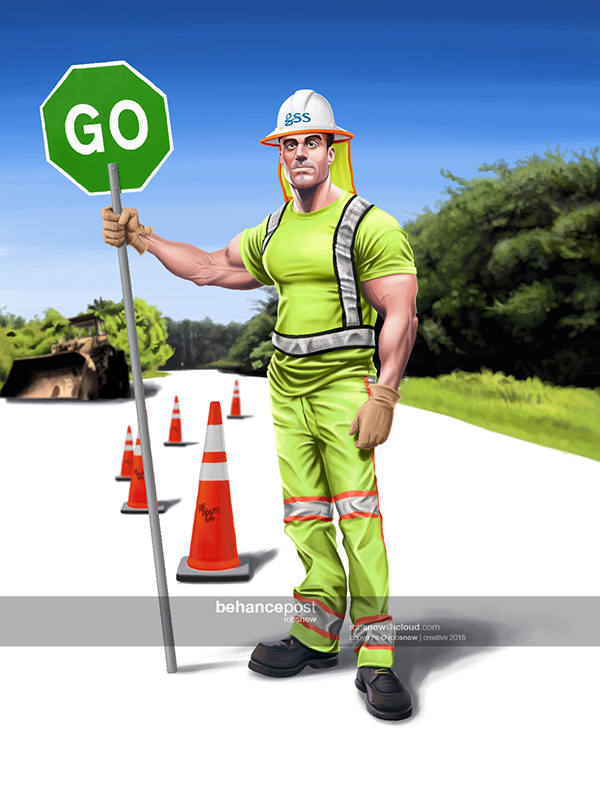 Instead of traditional collage, this is a digital rendering technique. 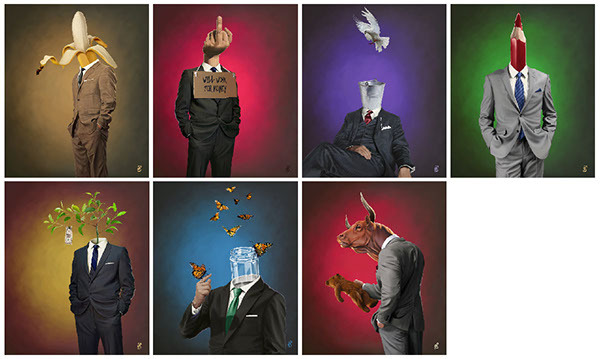 And this series, called "Suited" is used to highlight the synical values in the capitalism arena. A series of illustrations achieved over the past year of 2015.